Vocal trio MI.O has shared a medley of G-Friend songs, showcasing their skills as vocalists. G-Friend has seen great success as of late, winning trophy upon trophy in music shows. The male trio changed the songs' upbeat and feminine aspects, turning the melodies more somber and with low harmonies. 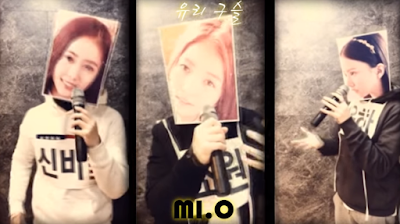 The trio also sported masks, showing three members of G-Friend, lightening the mood of the medley and video.